Chickenpox (Varicella-Zoster virus) under a microscope! Don't be scared — the vaccine is making chickenpox roadkill. 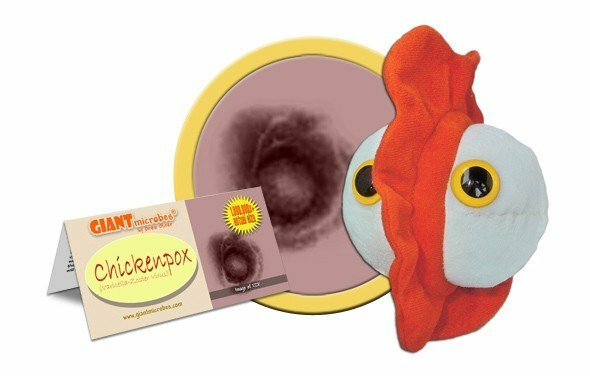 This is a great teaching tool or gift to cheer you up after a vaccination. Your purchase supports NFID in its mission to educate the public and healthcare professionals about the causes, prevention, and treatment of infectious diseases. To learn about vaccines to prevent chickenpox, click here. 5% of the proceeds from your purchase will be donated to NFID. FACTS: Getting chickenpox was once a childhood rite of passage – nearly everyone contracted the disease at some point in their youth. Indeed, some parents were known to have “pox parties” to deliberately infect their children at a young age when the symptoms tend to be mild. But the days of playing chicken with the scratch-inducing virus are rapidly coming to a close: the aggressive introduction of an effective vaccine is now making chickenpox infections as rare as hen’s teeth. What is chickenpox? Technically speaking, it is an infection with the Varicella-Zoster virus (which is a member of the Herpesviridae family of viruses, and a cousin of herpes and mononucleosis). More generally, it is a highly contagious, though generally non-serious, illness usually spread through direct contact (or coughing and sneezing) that produces hundreds of itchy-red spots all over the skin. In any case, wherever the word came from, with a vaccine around, the sky is falling on the Varicella-Zoster virus. But don’t count all your chickens before they hatch: because the vaccine is made from a weakened form of the live virus, if you’re no longer a spring chicken, there is still a chance that the vaccine-virus, like good ol’ chickenpox, will come home to roost one day in the form of shingles. 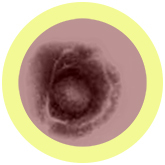 150-200 nm in diameter, about 10 times larger than the common cold virus! Lives in top layer skin cells (chickenpox) and dormantly lives in sensory nerve cells (when active, causes shingles). The nervous system and the integumentary system (skin). In 2010, 90% of children under three years old received the vaccine for chickenpox. Roughly 350,000 cases of chickenpox occur in the U.S. annually. Fever and irresistible itchy rashes, followed by the formation of gross red spots/fluid-filled blisters. Thankfully, a vaccine is available which has been shown to be 70-90% effective. Treatment of chickenpox includes use of pain medications and topical treatments for the itchy rash, blisters, and scabs. Phew! CAUTION! Taking aspirin while having chickenpox has been shown to increase risk of contracting Reye's syndrome, which causes liver and brain damage. Painful and itchy rashes last on average 12 days. Only those with weakened immune systems are at risk of death. Six deaths were caused by the chickenpox virus in 2007. Chickenpox spreads easily. Direct contact with a chickenpox blister or the saliva from an infected person can spread chickenpox to other people. 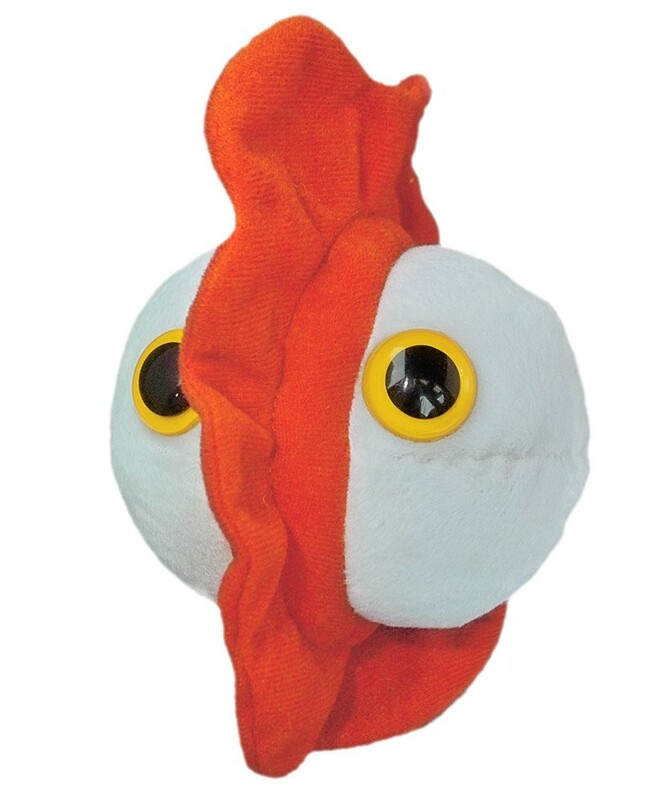 So students, tell your teacher to get your poor classmate our microbe for company while he or she misses a few classes. Incubation period: 10-21 days after exposure, symptoms of chickenpox appear. In 1767, English doctor William Heberden first distinguished chickenpox from smallpox. Michiaki Takahashi, MD, created the first vaccination in 1974. In 1995, a vaccination for varicella became available in the U.S., dropping the number of cases from 4 million to under 350,000 in the U.S. annually. In most cases, getting chickenpox once means you will not get it again. 10-20% of people who have had chickenpox will contract shingles. Only those who have had chickenpox can contract shingles; both diseases stem from the Varicella-zoster virus.